How long you have worked at Seacrest Studios? About a year and a half! Since March 2016. Favorite thing (game/activity, etc.) 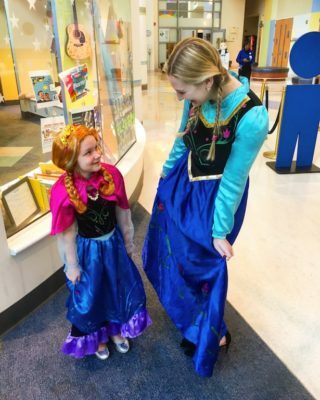 you do in studio: I dress up as Anna from Frozen every Wednesday to play Bingo and deliver prizes to all of our patients at Levine Children’s Hospital. Most memorable studio guest (and why}: Our patients that host their own unique hour-long shows! Celebrity-wise, I would pick Madisyn Shipman from Nickelodeon’s Gameshakers. She was so touched from her studio visit that she created a once-in-a-lifetime “prom" experience for Joe, a cystic fibrosis patient, on her own time with the help of Levine Children’s Hospital. Do you have a special hidden talent? I can make towel animals, speak French, N64 Master, human jukebox/identify any song faster than Shazam. 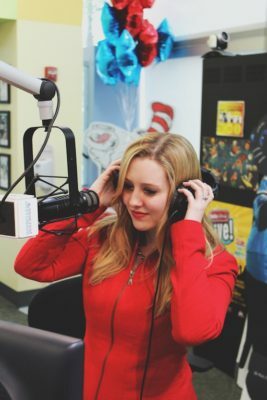 Thank you, Meredith, we are grateful for the time you have spent making Seacrest Studios such an awesome place to be.